There’s a heady excitement the day your new website goes live. You refresh the page, and voila – what you’ve been working on for weeks is there for all the world to see. In that triumphant moment, you’re not thinking about everything that can go wrong. After all, you’ve built a robust site and everything’s shiny and new. But what if something does happen through no fault of your own. Like a plug-in doesn’t update properly, or you get hacked? And what happens if the business evolves over the next 18 months, and the website needs to keep up? 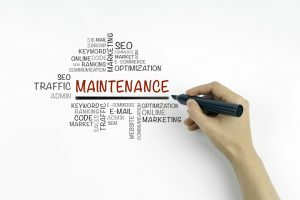 Having a site without a maintenance plan is like driving a car without insurance. You can hope for the best, but you’re taking a big risk. After all, the digital equivalents of little dents and broken wing mirrors have a cumulative impact that can quickly have commercial implications – people don’t like buying from (or giving their personal information to) sites with problems. They’ll click the back button, and you may not hear from them again. In other words, a broken website has a direct correlation to lost sales. Every site is vulnerable to cyberattack, whether it’s people stealing your data, using you as a spamming proxy or launching a Denial of Service (DDoS) attack. Plus, you have compliance obligations when it comes to protecting customer and employee information, so any security issues can create a compliance headache. Don’t make the mistake of thinking that a cyberattack won’t happen to you, because the operational and reputational risks vastly outweigh the added cost of ensuring the site is secure. 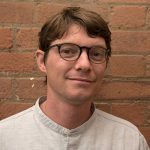 Websites that don’t use the latest version of the content management system and don’t update their plug-ins are easy targets for hackers, so it’s important that you keep everything current. If BA can get stung by a power failure, so can you – and we know how that ended for the airline after last month’s chaos. A key part of website maintenance is keeping back-ups, so you there’s no change in service if there’s an issue (like a security breach). And hourly is definitely best practice even though it sounds frequent. When you consider the financial effect of downtime (and the cost of redeveloping a hacked website), maintaining regular back-ups is a no-brainer. Once your new website is live, your competitors will look to see what you’re up to. And they’ll be working to seize the initiative and trump your new advantage. Therefore, your website needs to evolve to meet changing customer and market needs. Most of these will be small or medium changes that don’t require a whole new site; rather, it’s about finessing what you have to maximise your return on investment. That means you need access to regular design and development capacity to make adjustments, so you maintain your momentum. However, beyond the security implications, the quality of your user experience will deteriorate if your systems and functions become obsolete. For example, plug-ins that don’t work make your site frustrating to use, which can lead to high exit rates and shopping cart abandonment. Broken forms mean you lose out on data capture and conversion opportunities. Issues loading your site lead to high bounce rates and can affect your Google rankings (since site speed is a factor in SEO). 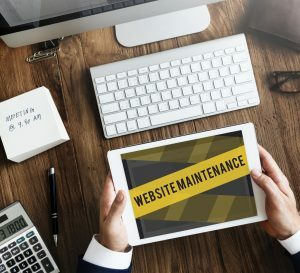 Website maintenance isn’t expensive, and it helps you maximise your return on investment. Budget for it as part of your overall web project, and you’ll reap the rewards. For more information on options and packages, get in touch. I can advise on a realistic level of support for protecting your site.